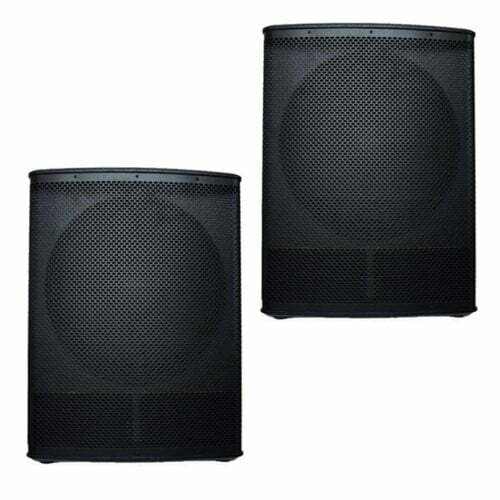 BishopSound BD121S 21 Inch Passive Sub Speakers for sale at Yowcha! 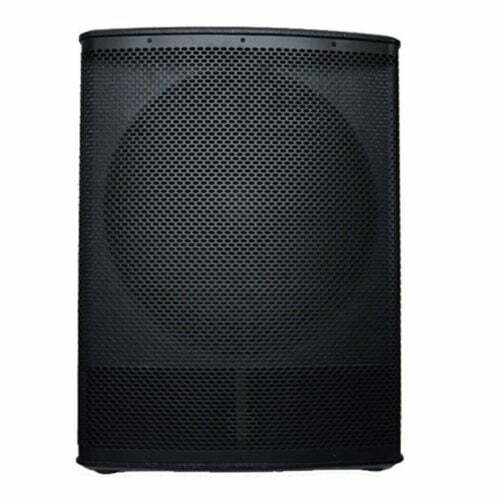 BishopSound BD121S 21 Inch Passive Sub Speakers for sale at Yowcha! These BishopSound BD121S 21 Inch Passive Sub Speakers are made from birch plywood and are 21″ cabinets finished in Heavy Duty black splatter paint. They will withstand all the knocks and scrapes gathered through touring! This pair of Delta 21″ Plywood Sub woofer provide a stunning sub bass! The neodymium 21″ driver is very efficient and takes modest amplification to drive it. Our customers are delighted with the performance of these Sub-Bass Speakers and report that they exceed all the limits delivering 2,000 watts RMS of substantial bass thump PER CABINET! You can buy a single Sub speaker at our normal; at a very competitive price. OR why not buy a pair at our special PACKAGE PRICE of just £899.00 giving you a 10% discount on the pair? If you are presently using an 18″ speaker, you will notice a huge difference by upgrading to 21″ speakers. For any Questions about our Bishop Sound BD121S 21 Inch Passive Sub Speakers; or for Prices on delivery to the EU please contact us. Or; why not visit our Facebook page and follow us? You can see ALL the latest info as it happens!